You don’t have to worry about not having clean water for your family anymore! Purchase the Versa Flow – CLICK HERE! Use the coupon code “Prepper” for 20% OFF! The Hydroblu Versa Flow is the most versatile water filter on the market. 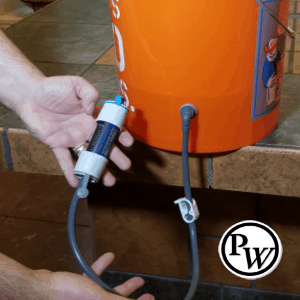 And for under $25, you can ensure that you have a family water filter for an emergency situation! Watch the tutorial video below or download the FREE How to Tutorial in PDF. I show you how easy it is to have a family-sized water filter. Imagine being in an uncertain situation where your family and loved ones are frightened because they realize that they are in a situation where they don’t have clean water to drink. But then you assure them that everything is going to be ok because you prepared and have a water filter that can filter a huge amount of water for them, and it didn’t even cost you that much! This is a must-have piece of survival gear for every family. And the small price tag allows you to purchase multiple kits for redundancy, gift giving or bartering. 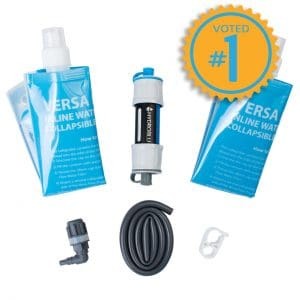 And the best part – Prepper Website has secured a 20% coupon when you purchase the Versa Flow. Just use the coupon code – “Prepper” when you checkout. or Watch the videos below to get more information and see how easy it is to set this up!